On the go and need to review your portfolio? 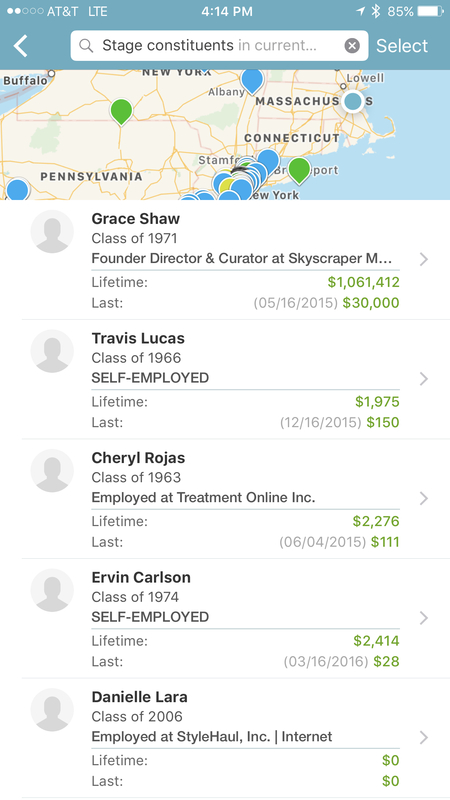 Use EverTrue's mobile application to view your prospects from anywhere! 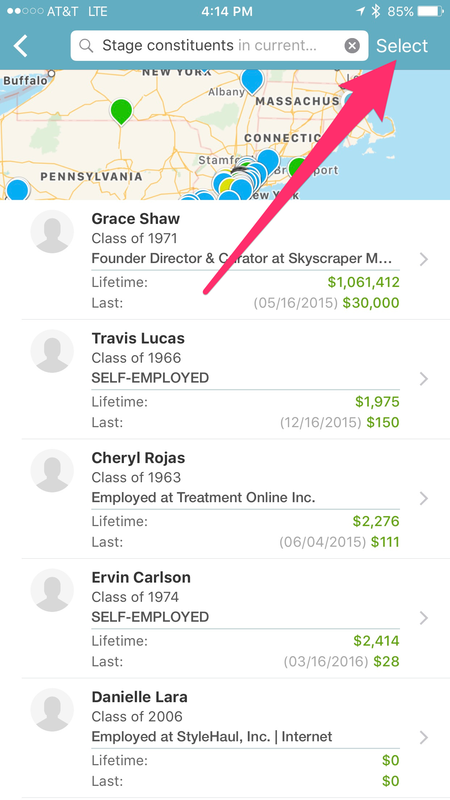 Within EverTrue mobile, you can view your prospects by stage, on a map, or add them to a list. To view all prospects on a map, use the "View All" button near the upper right corner. 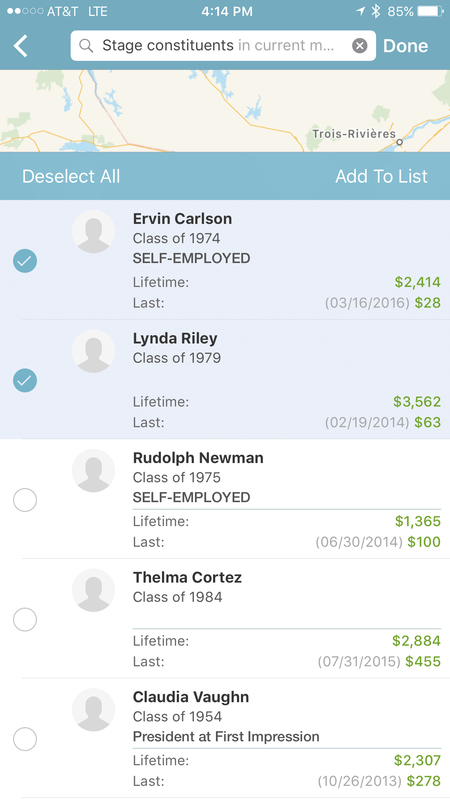 To view all prospects within a particular stage, click on the stage name. 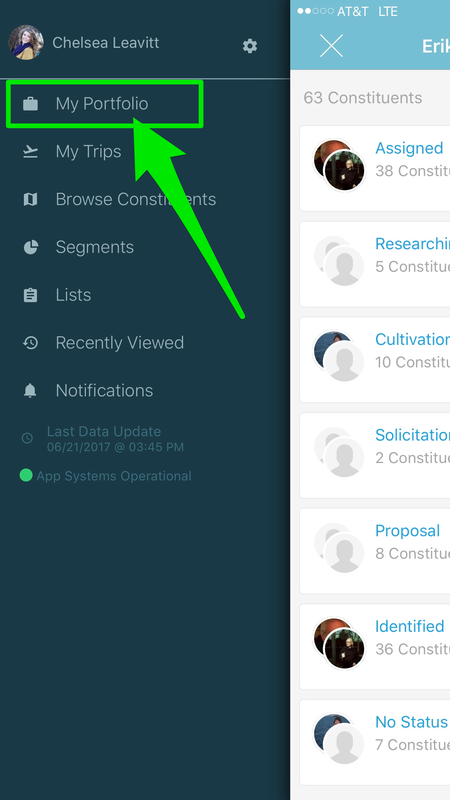 Both clicking the stage or "View All" will take you to a more detailed list of those prospects and a map view. 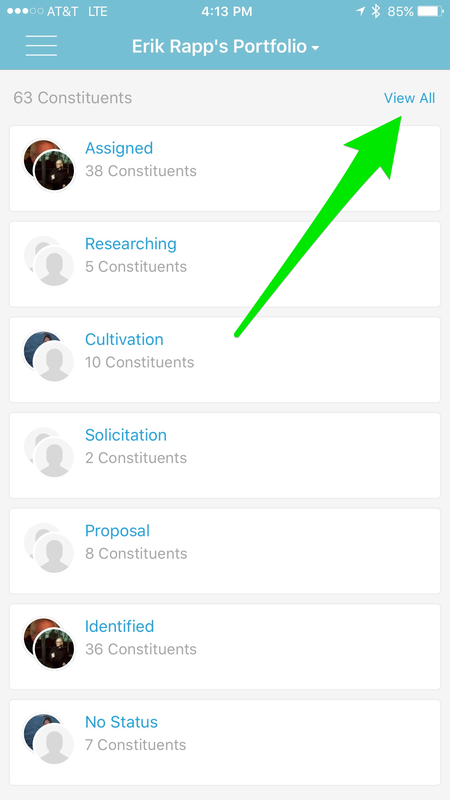 Select the constituents you're interested in and click "Add To List." 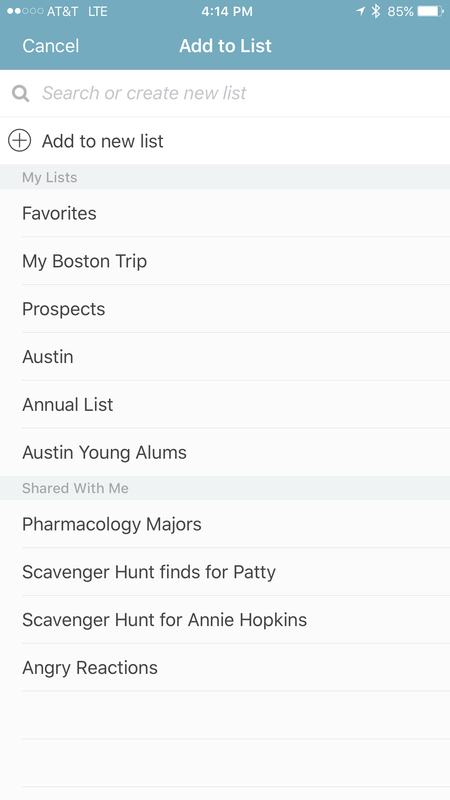 Select the list you're working on or create a new one right from this menu! *At this time, adding prospects to a trip directly from your portfolio is not available.